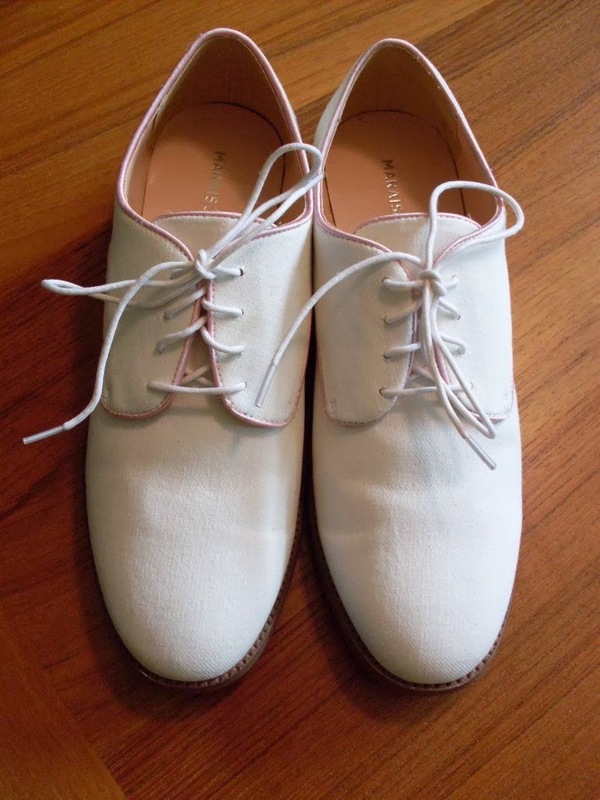 One of my goals for spring and summer was to find a pair of white/off white shoes, either sandals or flats. I've been looking online and in local shoe stores and finally found these Marais Oxfords from Solestruck, the online shoe store that recently opened a brick and mortar shop in Portland's Pearl District. I wanted something that could be dressy, as well as casual and I think these fit that requirement nicely. 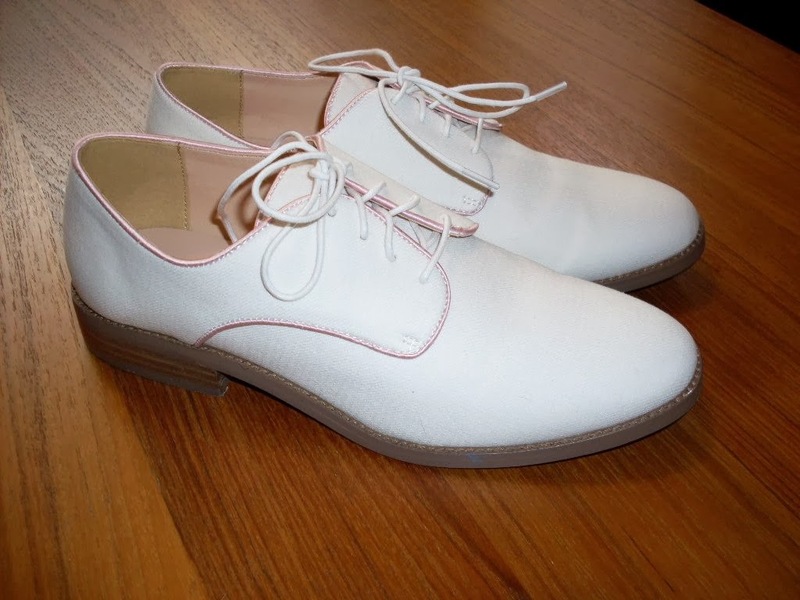 They're made of canvas with a pink satin trim. They also come in black and a dark forest green.